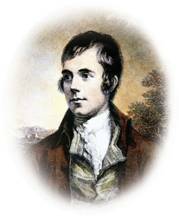 Opportunity for new RBWF members to win 2 tickets for the 2019 West Sound Burns Supper - sign up here. West S ound Radio is honoured to be associated with the Robert Burns World Federation and indeed the sponsors of the West Sound Rosebowl at the Annual Young Burnsian of the Year Competition. We are also delighted to give a platform to the 2018 Young Burnsian Euan McDonald and Junior Burnsians Gregor Grierson.